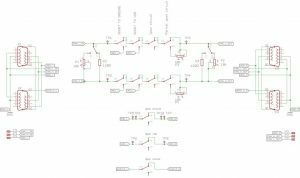 CAN Bus Fault Injection - MACH SYSTEMS s.r.o. The Bus Fault Injection Board allows the user to inject faults into a physical layer of a differential network (such as the CAN bus). 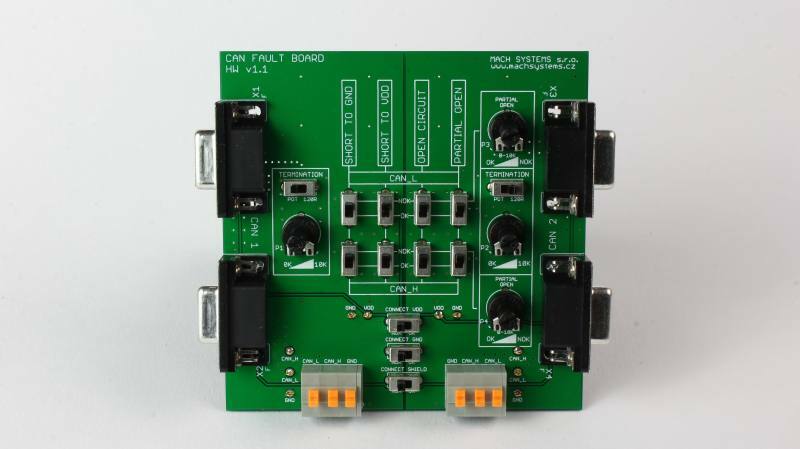 The board can simulate errors: a wrong termination resistor, open/shorted CAN_H or CAN_L to Gnd/Vdd, disconnected Gnd or Vdd or Shield signal. 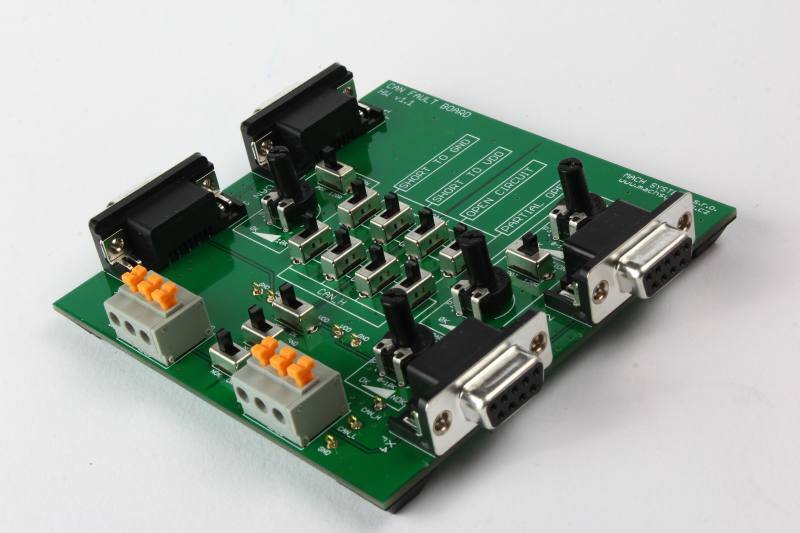 The fault injector board is suitable for CAN, CAN FD, FlexRay, RS-485, and LIN buses. The Board has two sides – left and right. There are two D-SUB9F connectors wired 1:1 at each side. 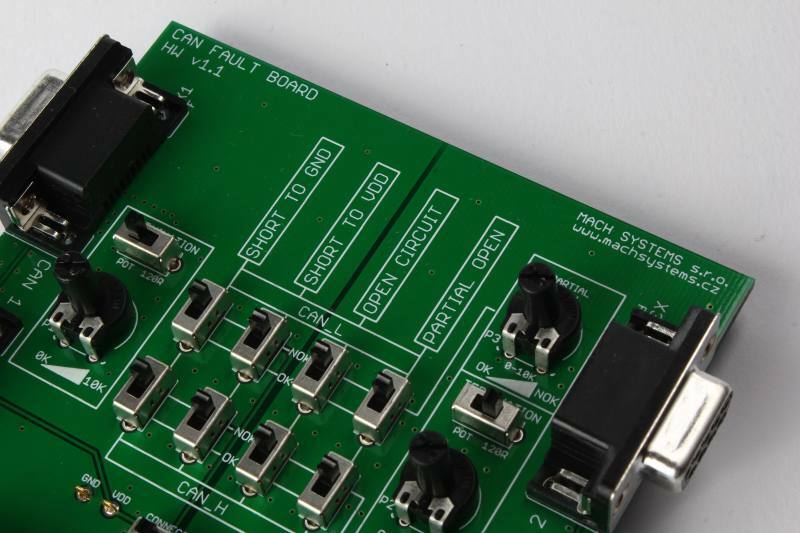 The switches for fault injection are placed between the sides. 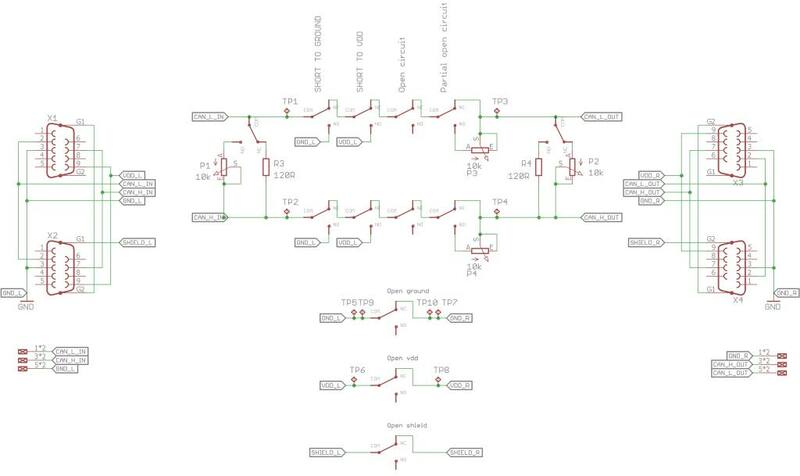 If all the switches are in “OK” position, there is no fault injected into the physical layer and left and right sides are connected correctly. 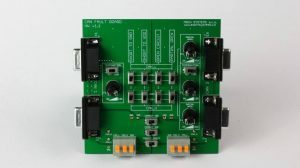 This means all four D-SUB connectors are connected 1:1 and the board can be used for a normal interconnection of network devices.